Jerusalem is the inspiration and a source of imagery for these abstract collages. 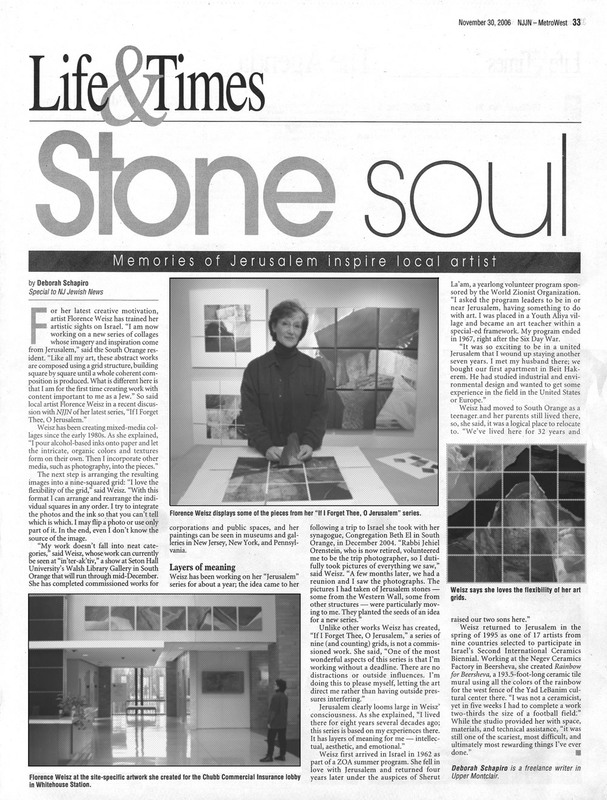 I created the series following recent visits, however, my strong connection to Jerusalem began four decades earlier when I arrived as a young volunteer on a one-year program and stayed on to teach art to children in special education schools for another seven eventful years. 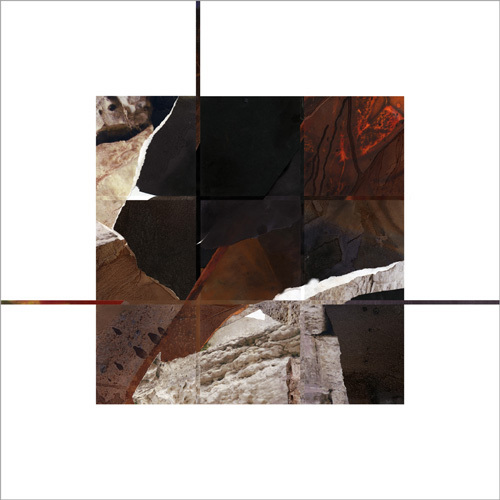 These collages incorporate my digital photographs of stone and stone structures from Jerusalem's Old City. I am especially attracted to the stones for their abstract qualities, subtle colors and textures. I seek to integrate them seamlessly with my alcohol-ink poured papers. I work intuitively, while using a grid matrix as an integral part of my creative process. In each collage I create the illusion of space — an imaginary landscape integrating diverse fragments into a harmonious composition....a metaphor of hope for the City of Jerusalem.